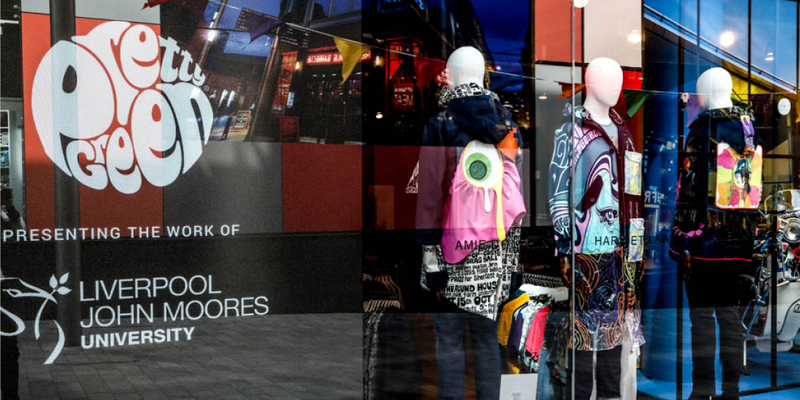 Pretty Green worked in collaboration with Liverpool John Moores university on a live ‘Psychedelic Parka’ brief. 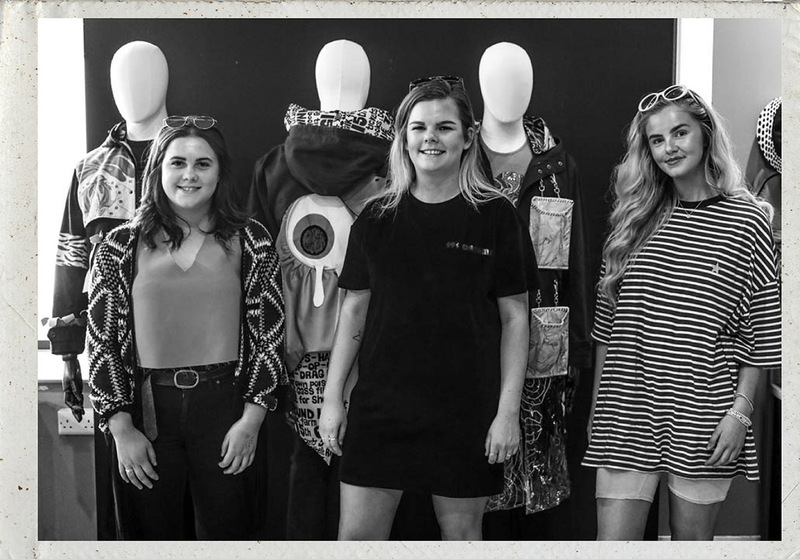 Final year BA students from the Liverpool School of Art and Design were briefed to use the theme of Psychedelia to come up with a creative and unusual way to customise the classic Pretty Green parka. Producing sketches, layouts and story boards to accompany the design. ‘The inspiration for my parka came from the night when Pink Floyd played at the Round House club in London. They played a video of Pink Floyd’s riot van, running over a jelly monster before they came on the stage. 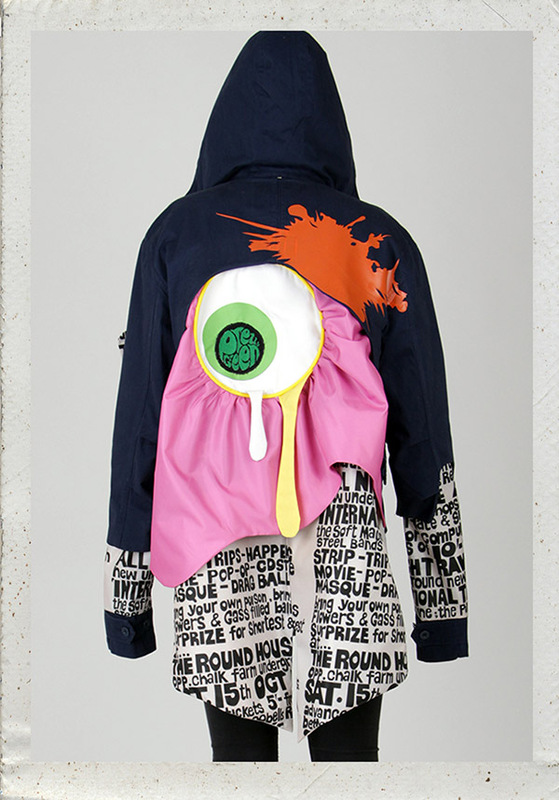 My parka tells this story, with the jelly monsters eye melting on the back of the jacket and the Pretty Green logo in the centre of the eye. The splatters represent the jelly monster exploding. 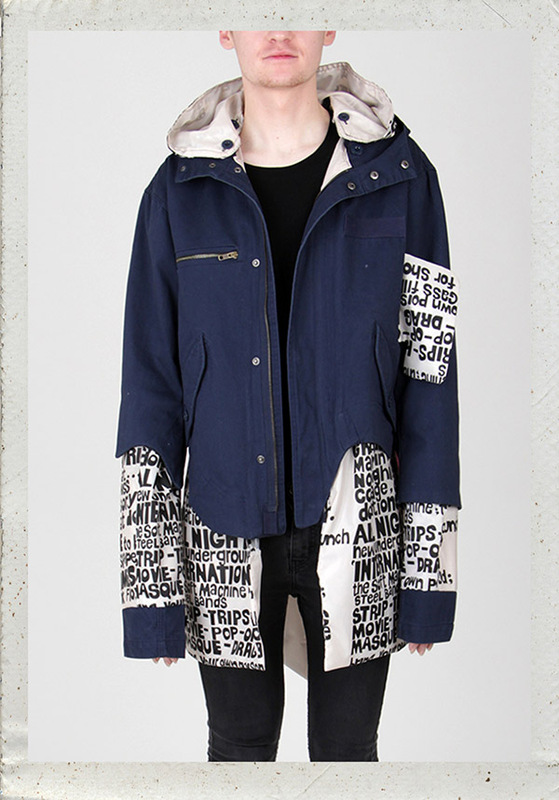 This centre-back detail is topped off with a newspaper style print in the lining of the parka which takes inspiration from the original newspaper advertising the Pink Floyd gig. The process of customising the parka started with pattern cutting. Taking the pattern from the original parka jacket, I manipulated the pattern to create the style details I wanted. ‘I was inspired and fascinated by Psychedelic Art Nouveau. 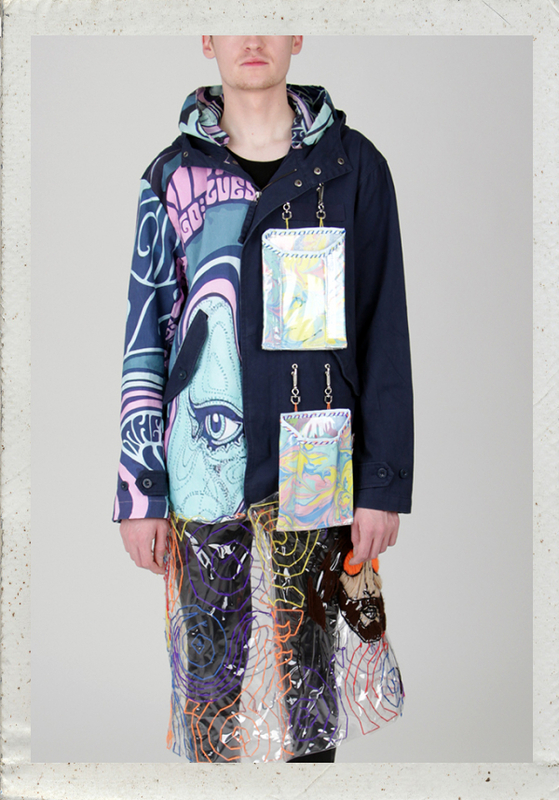 Each of the prints on the parka are hand drawn, using inspiration from Art Nouveau paintings and their bright, psychedelic colour palette. 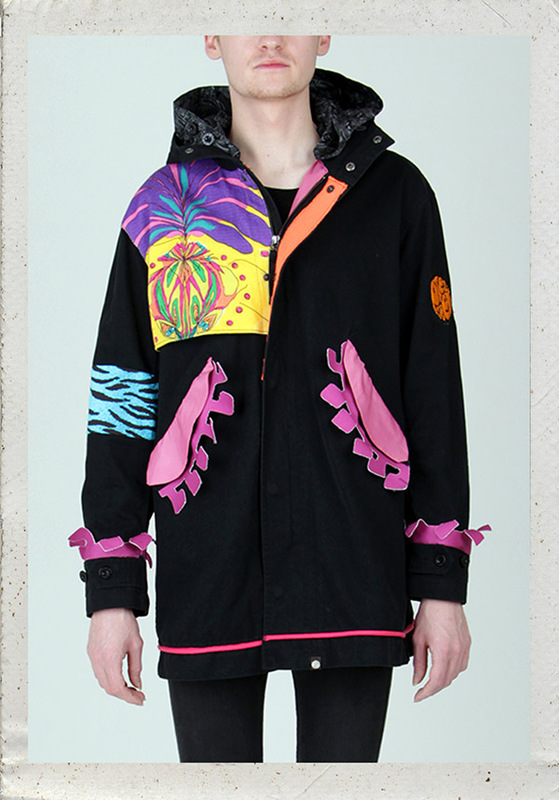 'The title of the parka that I redesigned is "Psychedelic Celebration". 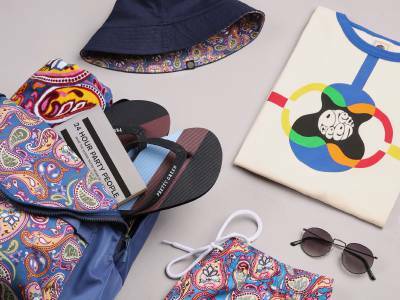 The parka is designed to be an eccentric celebration of Pretty Green, delving into its British Rock and Roll roots whilst adding a vivid, psychedelic twist. 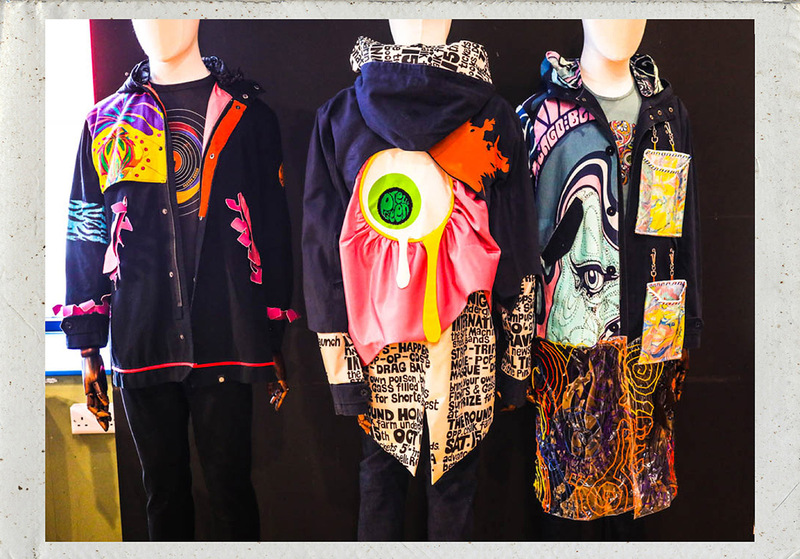 The kaleidoscopic colour palette and the flowing textiles aim to recreate the experience of psychedelic drug culture. 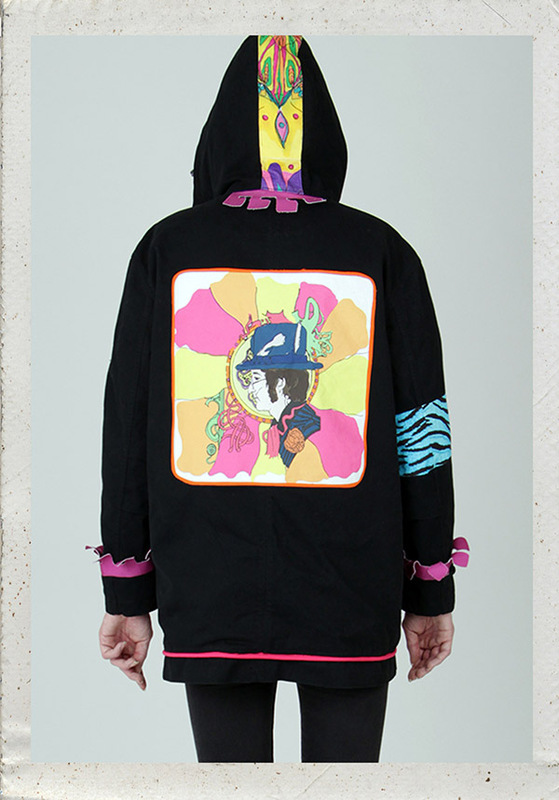 The front right panel and the sleeve of the parka features a screen print onto cotton canvas of Wes Wilson's iconic 'Arte Psicodelica' poster. The hood lining also features this poster, in an appropriate ripstop fabric. 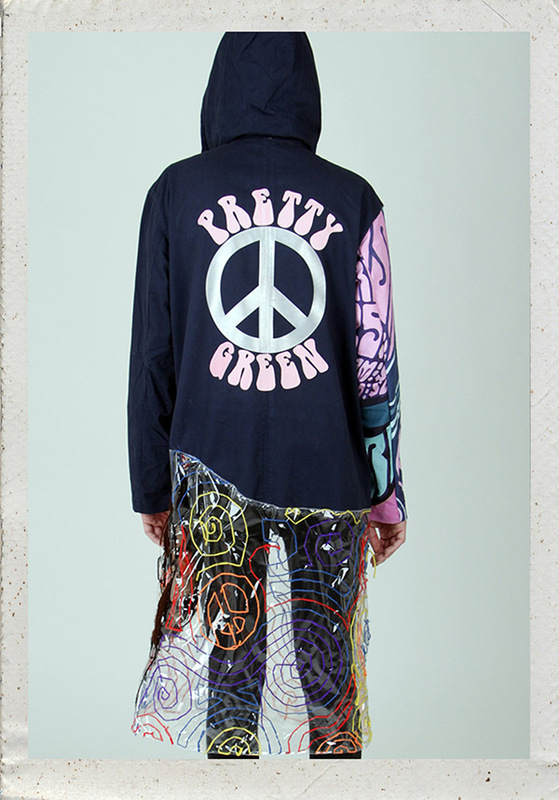 The parka features a heavily embroidered PVC panel sewn onto the hem, using chunky yarns to create a colourful maze of swirls and peace signs. On the front left of the parka there are two PVC pocket-style bags which are detachable via metal hooks. The pockets have been made using PVC with plastic slotted inside to keep their stiff shape. The print of the interior of the pockets/bags was created using ink marbling: dripping teal, pink, yellow and blue inks onto water and catching the swirls onto the fabric - again, to imitate the ambience of psychedelia. 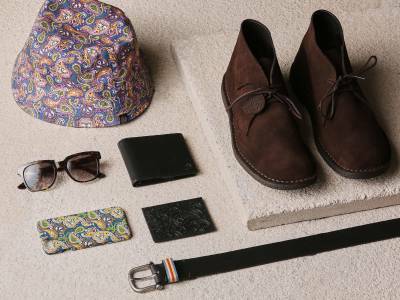 Head down to the Pretty Green Liverpool Store this week to view the work of our competition winners.